Hybrid IT environments: worst of both worlds? Traditional data centers fans and cloud service supporters can agree on this: hybrid environments are more vulnerable. When it comes to data processing and storage capabilities, today’s businesses never seem to have enough. Companies, to satiate their need, are intermixing services from traditional in-house data centers, commercial colocation facilities, and cloud providers. These hybrid environments complicate the IT environment to be sure, but companies insist they are necessary to get the job done. But security experts are starting to wonder if the combination and the complexity might weaken an already vulnerable infrastructure. A mixture of technologies can create weaknesses, and in “dynamic” data centers, IT has to run to keep up with new dangers as the infrastructure changes, according to a survey by Dave Shackleford, SANS analyst, instructor, course author, and founder of Voodoo Security. Shackleford surveyed 430 IT professionals experienced in defending data centers, cloud service operations, or some combination thereof. He then published his findings in the SANS paper The State of Dynamic Data Center and Cloud Security in the Modern Enterprise. Shackleford’s first step was to categorized the survey respondents according to their job titles, what industry their employer is servicing, and the size of the organization. Slide 1 captures the job diversity of the respondents. 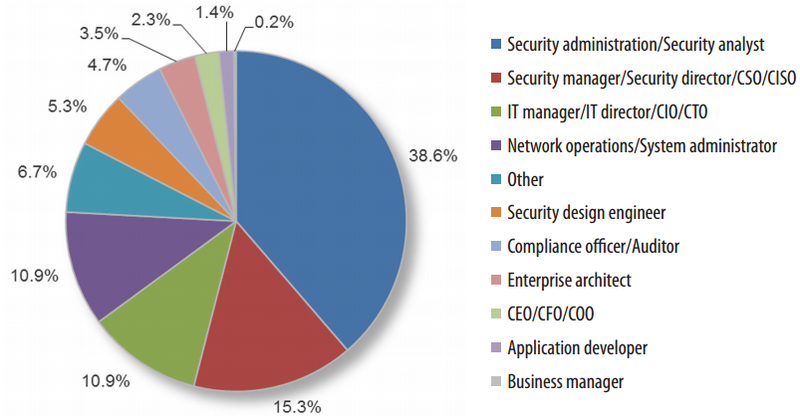 When it comes to company size, security professionals from enterprise to small businesses were represented: 23 percent of the respondents worked for organizations with 15,000 or more employees, 64 percent worked for organizations with 1,000 or more employees, 23 percent worked for organizations with 100 to 1,000 employees, and 13 percent of the survey participants worked for organizations having fewer than 100 employees. For the survey to have any significance, Shackleford needed survey responses from professionals who worked in what he calls a “dynamic data center” environment. A scalable facility that uses automation and virtualization to meet the demand for IT resources provided by private and public clouds, SaaS, mobile and terrestrial networks, and other sources. The following slide shows the breakdown of different infrastructure types respondents’ organizations are currently using. How well is security working? 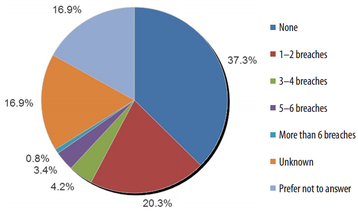 Slide 3 indicates that over 28 percent of the organizations willing to share information knew they had been breached. Large proportions (17 percent each) either didn’t know or wouldn’t say. Something else interesting, industries with the highest attack percentages — education, government (non-defense), and IT — have relatively low breach percentages: 36 percent of all attacks turned into breaches for the education and IT sectors, and seven percent for government entities. 68 percent are concerned with access management and privileged account management vulnerabilities in both their data center and cloud service operations. 64 percent are concerned with application vulnerabilities. 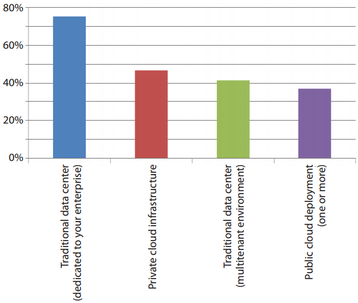 58 percent have no visibility into East-West traffic in their data centers or cloud environments. 55 percent are dissatisfied with their current attack containment and recovery times. 44 percent of those able to share have experienced a breach resulting in the loss of sensitive data. 35 percent revealed it takes more than two weeks to implement security change controls. 25 percent do not know whether they have experienced attacks. Under closer scrutiny, one begins to see that Shackleford and Linthicum are concerned about the same thing. Both agree that the dynamic data center model with its mix of technologies is vulnerable, and may be more so than either traditional data centers or cloud service providers. Note: In the interest of full disclosure the Shackleford/SANS survey was sponsored by Illumio, an enterprise security firm.